The following is from Richard Foster, candidate for re-election to the Longmeadow Select Board. Shortly you will go to the polls to once again elect those you wish to provide executive leadership for our community. While I realize many of you may not be directly involved with the governance of your community, you do, however, control who is chosen to represent your interest. You deserve people who consistently demonstrate leadership qualities that clearly represent the highest priority needs of our entire community. We need select board members that clearly demonstrate professionalism, not only in representing you, but also in how they deal with other board members and senior managers in our community. Your select board needs to demonstrate fiscal leadership by looking into the future and applying some common logic towards where we are headed. Longmeadow’s future requires a select board that recognizes the fiscal challenges and supports the expertise and forward thinking displayed by our Chief Financial Officer (CFO) Paul Pasterczyk, Town Manager Stephen Crane, Planning Board Member Walter Gunn, and the Director of the Pioneer Planning Commission Tim Brennan in our recent tax rate forum. All of these professionals realize we need to start working now to alter our future financial picture. 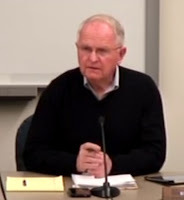 One of your select board members in the May 21-27 Reminder boasted that he “believes he brings fiscal leadership to the board.” This was the same select board member who went on to mock a recent forum on our tax rate as being akin to the “Chicken Little mentality where the sky is going to fall.” These statements are made by a person who has served you for nine years on the Select Board, one year on the School Committee, and two years on the Finance Committee. All these years he participated in increasing your taxes by the full amount allowed by law to our current point where we have the highest tax rate of any community across the Commonwealth, while the infrastructure needs of our community continued to be ignored. I need your help in supporting a new direction to maintain the quality of life in Longmeadow and ensure its future. Tom Lachiusa is running for the select board this year and is gaining support across our community as a voice of change. Tom is committed to building a better relationship between the select board and the Town Manager. Tom realizes the importance of this relationship and is committed to letting the Town Manager manage our town as directed by the Charter and to having the Select Board start providing executive leadership through the development of fiscal and operational policies. 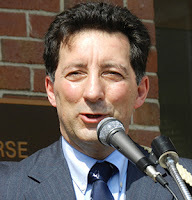 I support Tom in his bid to become a select board member for Longmeadow. We need to elect individuals who truly demonstrate the leadership required for our future. As a community, we can’t afford another three years political pandering; the time for leadership is now. The choice is yours; status quo or electing a team that will Drive Change in the Right Direction. Please Vote Foster and Lachiusa this year as your representatives on the Select Board. The following was submitted by Tom Lachiusa who is running for election to the Longmeadow Select Board. As voters make their voting decision on the Select Board candidates, I ask you to consider my request for your vote. Having been a homeowner in Longmeadow for 16 years, and a small business owner in town for 19 years, I offer the perspective of an average taxpayer. My wife Jeanne and I have raised four children and understand the struggles of young families and the concerns of individuals who are, or will soon, be living on a fixed retirement income. These perspectives, combined with my track record of successfully resolving group conflicts, providing leadership during a period of transition at a local college, and bridging political divides are the reasons why I want to be your next selectman. I believe the first and most important question facing our town is: Will the Select Board be able to follow the town charter and work cooperatively with the Town Manager? My first priority is to support the charter and improve the relationship between the board and the Town Manager, Finance and School Committees. Many have commented to me that the board is not serving the town effectively due to infighting and selfish political grandstanding. I have listened to residents who expressed that they do not see how the board can serve the best interests of our town without a change in its membership. As a teacher, I have taught graduate classes on group work process and I have been finding solutions to group conflict for over 40 years in various positions including currently at the Hampden County Jail and in my own private practice. I will use the skills I have acquired from a career in teaching and social work to make our town government more efficient and responsive. What I offer is the experience of a seasoned professional who has academic and professional training that will guide my decision making during times of difficulty and transition. While I was a faculty member at Springfield College, I was elected by my peers to serve on the Vision Committee that would help guide the school in its search for a new college president. After my election to this committee, the interim president appointed me to be his co-chair because he saw my commitment to the school and what I could contribute to the project. Under our guidance, the committee was able to develop a vision for the future of the college, and therefore, the job description for the person who would lead that effort. Through exhaustive research at the departmental level, we were able to examine the goals of each area of the college and merge them into a unified vision of the future of the college. From this vision, we were able to choose a president that led the college in the direction that fit with the needs of the community. I have no doubt that I will have success using similar methods to lead our town toward a better tomorrow. Town elections are non-partisan in nature, however, since I have announced my candidacy, I have been able to build bridges between the Republican, Independent, and Democratic factions in town. The support I have garnered from leaders from all parts of the political spectrum in Longmeadow is a clear sign that, even in our current time of hyper-partisanship, there is a common belief in the need for a change in the membership of the Select Board. Please vote for me on Tuesday June 9th. What makes a school system exceptional? The following was submitted to the LongmeadowBuzz blog by Russ Dupere, candidate for election to the Longmeadow School Committee. Leadership that creates clear short and long-term goals with input from the staff and community. Administrators that inspire their staff to work toward meeting these goals. Consistent curriculum which is aligned throughout all schools K-12. A school climate wherein administrators, teachers, staff, and parents feel respected and valued. Teachers are provided with the time, technology, and resources necessary to provide the best education possible. Making it a priority that ALL students are treated equally and with compassion. Decisions are made in a transparent and open manner. Stakeholders' opinions are treated with respect, and are given due consideration. An atmosphere of trust and collaboration, wherein teachers and other members of the school community can provide input and recommendations for improvement. The School Committee and Board of Selectmen have an open line of communication, and work collaboratively. A community that supports education both financially and through volunteerism. I am committed to making sure that these characteristics are present in our school system. We have an exceptional school system, and I believe we have the ability to make it an even better one. Please vote on June 9th.